I am kicking off 2018 with a new goal of mine, starting a Youtube Channel to bring my blog posts to life! Apparently I have a big personality and despite my love of writing, I think videos are more of the "millennial way". 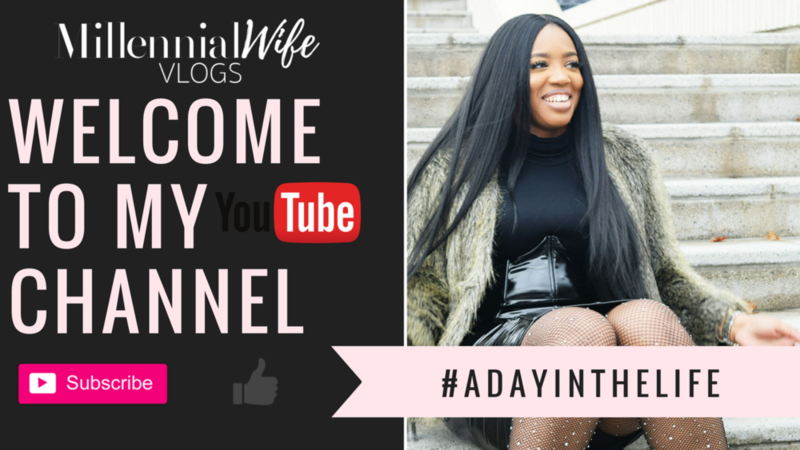 Millennial Wife Vlogs is a spinoff of the blog, The Millennial Wives Club. This trailer depicts #ADAYINTHELIFE of me getting getting ready for a day of shooting behind the scenes content. This video highlights 3 fun categories I will discuss on my channel: hairstyles, lifestyle, and my style. I just made that up so I’m going to roll with it lol! Fun Fact About Me: I'm EXTRA! Be prepared to laugh, connect, be empowered, and learn a thing or two! Stay tuned! WANT ME TO GIVE YOU ADVICE IN MY UPCOMING "TIA'S TIDBITS" SERIES? Email me at hello@themillennialwivesclub.com with the subject "Tia's Tidbits". Ask me anything! Check out the video below and let me know what you'd like to see on my Youtube Channel. PLEASE DON'T FORGET TO SUBSCRIBE and GIVE A THUMBS UP! Special thanks to Adam Davis for producing this video, Desiree Phillips MUA for beating this face, and Porschea Lasha for slaying this hair per usual.